Two weeks ago, I did an interview with Michael Ventrella from Alliance larp, which many people found very interesting. However, while NERO and Alliance are probably the oldest non-battlegame fantasy larps in USA, and they had great influence on larp in USA, they're not the only one. LarpCraft is one of the newest fantasy larp networks in USA, and one that is both among the fastest-growing and most technology conscious larps around - not only having a website, but also being present on Facebook, Google+, Twitter, running a larp-related blog, producing and uploading 145 videos to Youtube last year, and also socially conscious with actions such as offering XP for donations to hurricane Sandy relief fund. 1. Thank you for your time! Could you tell us a bit about yourself? How did you start larping? 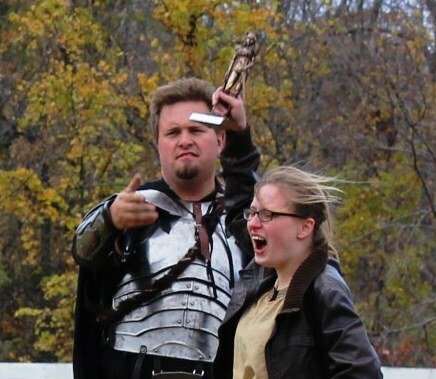 I started larping a few years ago with some friends of mine. 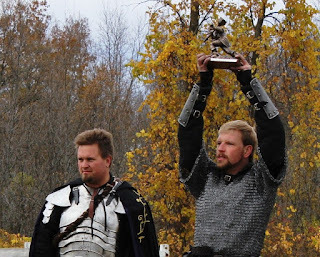 We were always into the medieval / ren fair stuff but we decided to toss a website up and see if anyone in the area was interested… this was around 2010. Soon we went from 5 guys to 30 players nearly overnight. My background is in event promotions and I have a good number of people who hand out when I do DJ, Karaoke work, racing events, concerts etc. We started as a smash and bash larp group without any real formal rule set. We didn't like the politics that came with some of the other sanctioning bodies and when we would go and check out a system we found many confusing or inconsistent things the promoters were doing to hurt the number of people that could be attending. After seeing the Euro Larp scene and the large events we decided to try and take USA larp and start to move it in the direction of more role play but still with a good amount of combat options. We talked with other local promoters and tried to come up with agreements where we could attend each others' games to help the sport grow as a whole. After a while we had 6 realms here in Eastern Wisconsin and we started to pull people from Chicago, Milwaukee and other big cities. Our games now pull people from up to 3 states away and we are amazed at how many people we started seeing at games. We also wanted to develop a larp that would spark the interest of the video gamer so our games have some spawn points, more than one life etc. We wanted people to spend a lot of time building a character history and if they died and couldn't come back, we found that people just didn't devote the time to build a proper biography, thus our life band system was made. 2. What made you decide to start LarpCraft? Larpcraft was really wilarp (Wisconsin Live Action Role Players) with a national name. Being that we had a pretty decent rule set and a really unique tracking system, we opened it up so other realms using our system could take advantage of what we had. 3. What were the earliest months of LarpCraft like for you and for the game? The early months were hard. We had programming issues, high bandwidth costs and overages, insurance snags… it was a mess BUT because we had great games and great people, we pushed on and ironed out the details. LarpCraft is still super small but the system is now in the right place where we can open things up. 4. 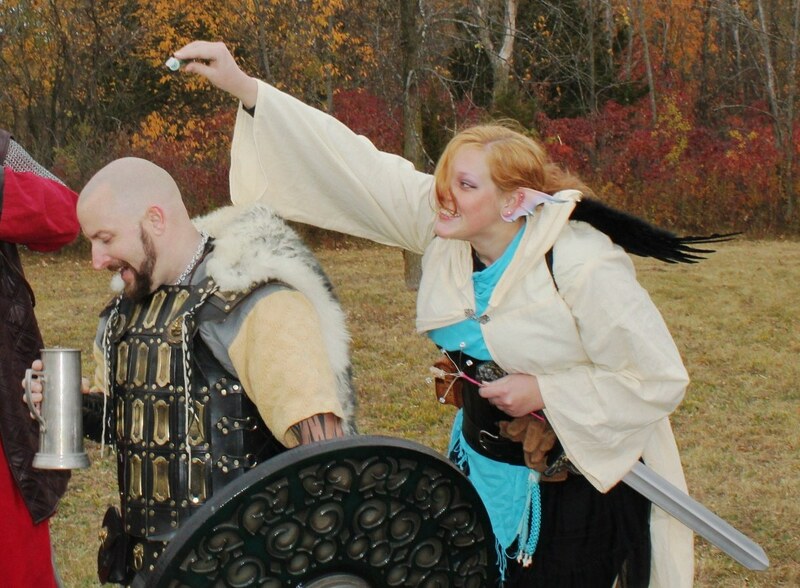 What makes LarpCraft different from other larps? Again, we wanted lots of role play in our Myths and Legends Medieval gameset. The hardest part of our system is realizing that you start with nothing. Sure your first game you can play in whatever you came in (and it will count) and learning skills is actually pretty easy to do, but you have to take the time to make it happen. Our living history "scrolls" are the in game forums where players can add to their lore and history between games, talk among their factions, guilds etc. and use the living scrolls to research past games etc. This way, characters can spend more time adventuring and making history over taking the next few games to just learn the history. We post content others do not (as they see it as metagaming) but to us, some of this stuff has to be posted to get now players involved and get them into a story before a game even starts. It has worked really well thus far. Now, there are still things the stories and lot will not talk about for the things we want you to learn in game, but for the most part you can catch yourself up to speed and into a game pretty quickly. We do a lot of videos… a lot lol. We also have videos on how our system works and each chapter of our rule book is also broken down into a video. Promoters will soon be able to get the DVD so when new players come into a big game, they can simply sit em down in front of a TV or phone with youtube and have them watch how the game is players while the others keep playing. This idea has a lot of potential and I've done it in other industries I'm involved in. Here is sample video showing how to use the tracking and scroll system and how to apply for skills and get to level 1 without even going to a game. 5. Based on how it's going now, what do you believe the future of LarpCraft will be like? I think there will be many LarpCraft realms all over the world… and I'm not just saying that either. I field phone calls from folks all over the globe who want to part of our system since it is easy to learn, fast to set up and easier for new players to get hooked on. The story and lore is largely based on the players and how they feel their history should work. Skills and things expand over time based on community vote moreso than not. Our group of people really are proactive that way. In time we will release our Risen zombie larp, our Genesis evolution larp and other sets. They will all have separate profiles, skills, stories etc. but we aim to do this so we can offer a game system to every style of larper using our carefully planned building block syle gamesets. We want to offer new promoters a low cost tracking system, games that people can easily get into and a community that helps make the games better. 6. If a new larp was starting up, how would it benefit from becoming an LarpCraft realm instead of being an independent larp? Though we have our own system, we understand it is not right for everyone. I say that as my opening line every week with many who call wanting to know how to form a realm. Our system is not the best… no system is. The real key to success is having the group of people being comfortable with a set of rules that they think they can handle and grow with. We don't shun other rule sets… we have played many ourselves and encourage others to do the same. All in all, LarpCraft is a unique gameset that is easier to understand and easy to track your progress. You don't have monthly subscription fees, outlandish sanctioning fees etc. we only charge a $1 per submission of experience to help keep the site up and insurance active. This way everything is free to the players until they actually play a game. Another benefit is we help you set up your media, games, locations and provide you with the right forms, paperwork and expertise to get a game off the ground. 7. LarpCraft lands can be Continents, Colonies, Realms, Outposts and Battle Grounds. Can you tell us a little bit about them, and what differences are there? This system is loosely based on real locations but the maps are fictitious. Continents are just that… they are the land mass you are on though their shape, names and lore are entirely made up based on the realms and players. Usually Continents are undefined until enough lore is available for such a story. Colonies are a collection of realms, outposts and battlegrounds. They are used so that game promoters in a said area do not schedule big games on top of one another. Their stories will commonly intermix and all promoters in a colony must be on friendly terms. We MUST work together if we are going to take this game / sport to the next level and if we all cannibalize the market we all lose and players leave. We call realms the places where you'll have overnight games. Outposts will be 1 day games and battlegrounds will be for practices etc. These names help players identify the type of event even without knowing what the event is about. All LarpCraft locations use the same rule set so you can travel your character and still progress while also adding the new travel adventure to your characters biography. 8. There are several European groups playing LarpCraft. How is that working out? We do have a few new realms coming up in Europe and that is pretty interesting. Our goal is to have groups in every country playing larp. This way people can travel a character across the world and their stories will be unbelievable! We want as many LarpCraft realms as we can get but again, as long as you can keep growing your games the rule sets are not as important as the people that play them. Some groups started with us and left, others fizzled out… it happens but we do our best to help out as many groups as we can to grow the larp community. I didn't think Europe would be into the LarpCraft system but it seems to be pretty well received thus far and we continue to improve it. The tracking system is really helpful and the community is growing 100% every 3 months now. It is unprecedented growth as we come out of "Beta" and we will soon have new forms for easier signup. 9. LarpCraft has a mechanism of character transfer from other larps, and even online computer games such as World of Warcraft. How is that working out? The character transfers are mainly for folks playing other game systems. It has helped us get dozens of new players because we took their years of experience from other games and boosted the new character profiles based on their current system skills. It makes it much easier to get started in our system. Online games like WoW will have some impact and can transfer in as well but we haven't promoted that yet. 10. What was the biggest event ever organized by LarpCraft? How many players did it have, and how long did it last? We have weekend games now in wilarp and the 100+ games are getting more frequent. We are trying to organize at least 2 events a year that are 1,000+. Last year we pulled players in as far away as Puerto Rico. Next year we will have our Sweden players coming to the USA and we also are good friend with some big Canadian groups. Getting monthly games much over 100 people is about where we are at right now. Most smaller realms see 30-50 people per game and we are helping promoters grow that number. One of the things I always tell new groups to look at is their demographics… if you live in a small community you are not likely to get a lot of players so you have to think larger and market outside your immediate area. Working with the local chambers of Commerce and other agencies can also help spread the word about games without a lot of cost. 11. How much does a typical LarpCraft event cost and how much does it last? Typically, how are sleeping, food and drinks organized? Each LarpCraft promoter handles this a little bit differently. In Wilarp we have game fees of $5-$50 depending on length of game etc. We always have food, drinks etc. and for day and overnight games many bring tee-pee tents and coverings along with lean-to's etc. to set up a village and shop setting. 12. 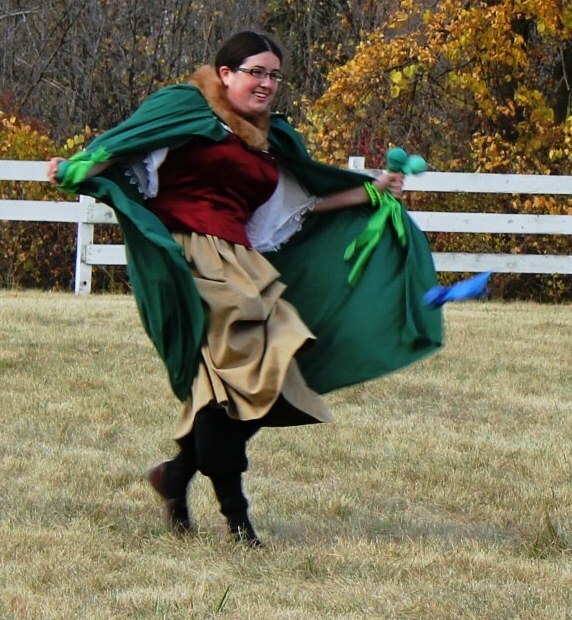 What are the safety regulations on a LarpCraft event? Safety outlines are in the video here. Our system is medium contact role play so you can use latex and related foam weaponry. We do have a sash system for more grappling and acting / staged fighting along with a yellow band system so those players cannot be engaged in combat (mainly town roles). 13. How do you promote LarpCraft? We promote LarpCraft with videos and a good amount of social media. We do paid ads from time to time but really we have been pretty busy as of late setting up new realms and promoters. 14. How is larp accepted in USA by people who don't larp? The nerdy stigmata still plagues the general public here. We are working hard to bring full immersion games and media to change the perception of an action packed game sport. It will take a long time and it is heavily based on exposures Hollywood gives us. The movie Role Models was our best friend and worst enemy all at the same time. We hope to get our new Role Play Magazine into news stands and on app stores before Spring of next year and this will also aid in showcasing that Live Action Role Play is huge, fun and immersive. 15. 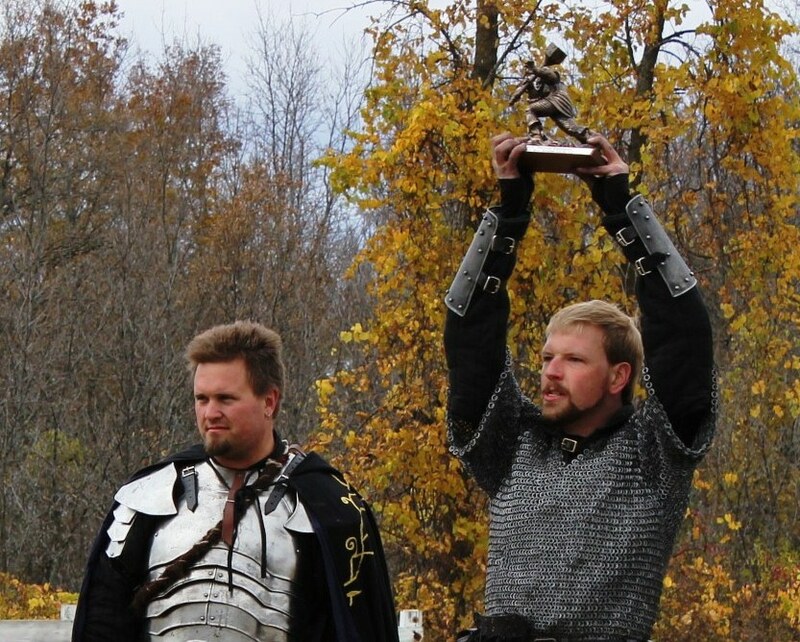 What do you find most enjoyable in larp? I enjoy the friendships I have made, turning this fun pastime into a career and being able to help the game grow. 16. Do you still visit other larps? Yes, and in fact if our group goes to another larp and we have enough people going they get LarpCraft XP for going too. 17. Have you ever drawn inspiration from other larps (such as some of the most famous European larps, including big larp fests like UK's The Gathering, or Germany's Drachenfest or ConQuest of Mythodea, or Nordic efforts into making larp a form of art)? All the time. We hope to provide games as big and immersive as the Euro Larps in the next few years. With the momentum we have right now, this is a real possibility. The US Larp market is growing by double digits every 8 to 12 months. 18. Would you ever visit a Croatian larp? Sounds like fun! I would love to! Thanks for the interview, Ryan!